If you’re in a car accident, pedestrian accident, motorcycle crash, bicycle collision, truck accident, or any other kind of injury accident, we can help you recover. Neck pain is a common complaint. Neck muscles can be strained from poor posture — whether it’s leaning over your computer or hunching over your workbench. Can’t think clearly due to your headache? There are many types of headache that could make your life miserable. Let us help you with that. Arthritis is inflammation of one or more of your joints. 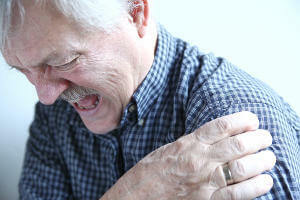 The main symptoms of arthritis are joint pain and stiffness, which typically worsen with age. Exercising is good for you, but sometimes injury happens. Accidents, poor training practices, or improper gear can cause them. Not warming up or stretching enough can also lead to injuries. I began attending Dr. Vu after months in pain due to the sciatic nerve. I had extremely lower back and leg pain. Dr. Vu has been treating my discomfort with specific stretches and acupuncture. Neatly to say, I am walking with better movement and less pain. Dr. Vu and his staff are very professional and caring. Dr. Vu treated me after I injured my neck during a car accident. He was very friendly and very professional. I would highly recommend him to my friends if they ever need treatment!! Excelente servicio, el Dr. Vu errádico mi fuerte dolor de espalda baja y pierna en pocas sesiones, estoy muy contenta de poder regresar a mis actividades normales y volver a hacer deporte. Excellent Service! Very convenience location and great hours. I started going to Dr. Vu due to a car accident a month ago. Dr. Vu is in charged of my treatment and overall he is doing a great job! Up-to-date on the latest chiropractic skills/treatments. First chiropractor who gave me an action plan to realign curvature and movement in neck, right shoulder and back. There is never no wait and scheduling is very easy. I will definitely recommend Dr. Vu to take care of you for your pain. Not only if you have pain due to a car accident, but also if you are on disability he can be your treating physician. Excellent Service! The doctor was very knowledgeable and took his time during the exam. I appreciated that he explained the tests to me and what exactly my issues were. Dr. Nhat Vu is exceptionally great at what he does! He greets every patient kindly and listens intently on your issues. He patiently offers his services to seek out the best for your road to recovery. I was recommended by family members and I definitely will pass on the word to others. Not only is he professional, Dr. Vu does have a very comprehensive treatment process. He’ll make sure to investigate the right cause of the symptoms and provide you with a variety of treatments as well as exercises to do at home. Highly recommended! Dr. Vu is very professional and great at what he does. Not only is the office easily accessible (bw8 and 249) but the customer service is excellent! I went in for treatment after a car accident and feel 100% better now. Easy to work with and accepts LOP’s. I will be going back for any other chiropractic needs. Very convenient location & hours. Excellent acupuncture treatment and service. Le doy 5 estrellas, ya que atienden muy bien el doctor es muy amable, da muy buen servicio te ayuda mucho y despues del accidente de carro me siento mucho mejor con las terapias que dan. The Chiropractor Dr. Nhat Vu it’s very professional and it has a lot of experience he immediately identify the problem. I had a bad back pain and in just one visit I felt better immediately, I went before to another Chiropractor of a franchise and didn’t do much to my back pain, but with Dr. Vu was a much better experience. After being rear-ended in a car accident I was left with hip, lower back, neck, and shoulder pain. I chose this chiropractor because of the convenience of the location and hours. The office is clean and organized and there is no long waiting time. Dr. Nhat Vu exceeded my expectations, he’s polite, professional and made me feel comfortable throughout my treatment. I’m pain free and thankful that I can resume my normal activities. I will definitely be coming back for an adjustment when needed. We are accepting most health insurance plans, Medicare, and PIP. If you don’t have insurance and/or paying out-of-pocket, you’ll be happy to know that we have many financial options available for you. Aetna, Blue Cross Blue Shield, Cigna, United Health Care, Medicare, Personal Injury Protection (PIP), Attorney’s LOP.